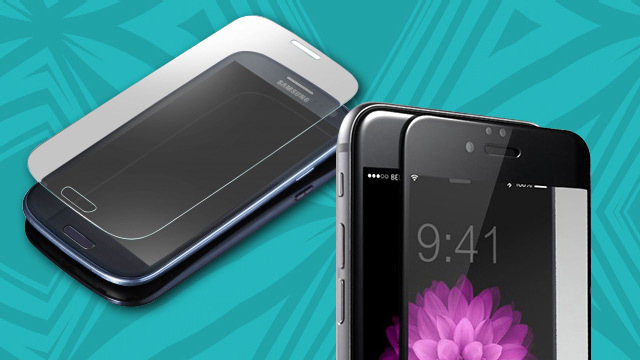 These Durable Screen Protectors Will Toughen Up Your Fragile Smartphone! When we hear the word "Aegis," we usually think of the mythical shield Greek gods like Athena and Zeus used. Or that popular '90s Pinoy band that has spawned many karaoke hits (like "Basang-basa Sa Ulan" and "Halik") and trained future belters. In the sleek and shiny land of tech though, the word is slowly taking a whole new meaning, thanks to a company called Aegis, an expert in providing added protection to our precious and ultra-fragile smartphones. Specifically, the company specializes in producing screen protectors that toughen up your handset's display, and they do it with a lot of tech involved. How does "tempered glass" sound? We don't know the exact science behind that term but it sure sounds super strong! We're sure our phones will be happy with those! And because curved displays are starting to become "in," Aegis has come up with an industry first—a heat-bended screen protector with the aforementioned features minus silicon guards (for a more legit look) for handsets like the Samsung Galaxy S6 Edge. This is the real thing, bros! Now you know why we're excited with what this company has to offer!